New White Goose Feather and Down duvets contain small fluffy feathers and light down clusters. 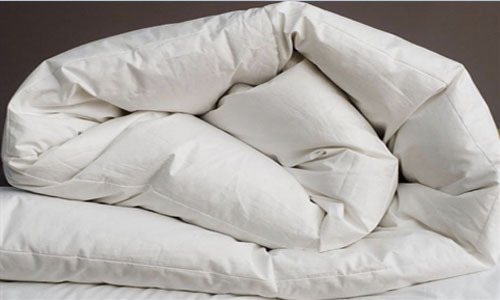 They are made with a pure cotton percale 240-thread-count casing which is breathable & downproof. When it comes to high quality and great value the Bed Butler Luxury White Goose Feather and down Quilts ticks all the boxes. This luxury Quilts is closely woven percale ï¿½ with a 240 threads count ï¿½ providing a super soft, sumptuously smooth feel.